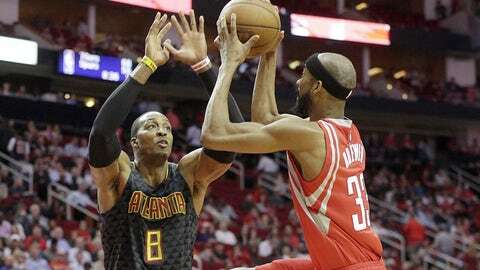 The Atlanta Hawks staged an impressive fourth quarter comeback to beat the Houston Rockets on Thursday night. What stood out the most from their victory? No disrespect to the various theme parks that populate the United States of America, but the 2016-17 Atlanta Hawks are the most exciting roller-coaster in the country. Just when a blowout loss has fans questioning the meaning of life, the Hawks totally redeem themselves with a big-time win against an elite opponent. Heading into Thursday’s game against the Houston Rockets I thought there was little chance Atlanta would come away with a win. They had just gotten blown out by the Miami Heat and were facing the third best team in the Western Conference in a road game on the second night of a back-to-back. That’s usually the recipe for back-to-back blowout losses. The Hawks were competitive in the first half. Both teams traded the lead back and forth during the half and Houston took a three point lead into half-time. The Rockets took control of the game during the third quarter, thanks to an offensive explosion from James Harden. After three quarters, Houston held an 86-73 lead. With 8:26 remaining in the fourth quarter Houston’s lead had grown to 20 points. I wouldn’t have blamed you if you had used that large margin as an excuse to go on a late night milkshake run. Then the game changed. 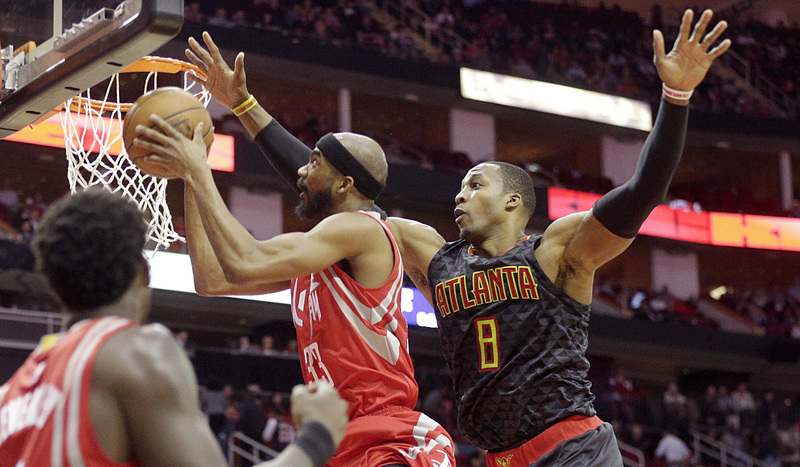 Atlanta staged a furious comeback to erase the 20 point deficit. The shocking final score was 113-108 Hawks. Overall the Hawks shot 51.8 percent from the field and 26.7 percent from outside. They turned the ball over 21 times, which helped the Rockets build their large lead. 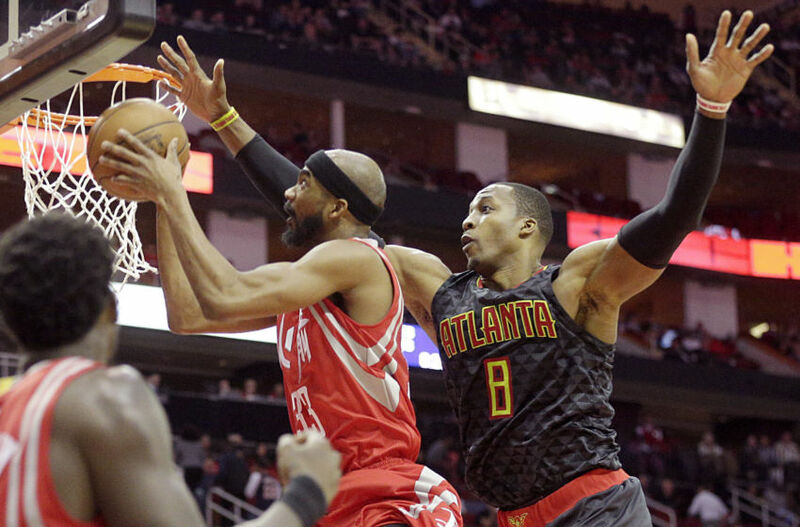 Houston’s offensive struggles kept Atlanta in the game. They shot just 37.6 percent from the field and 25.5 percent from outside, but they did make 25 free-throws. 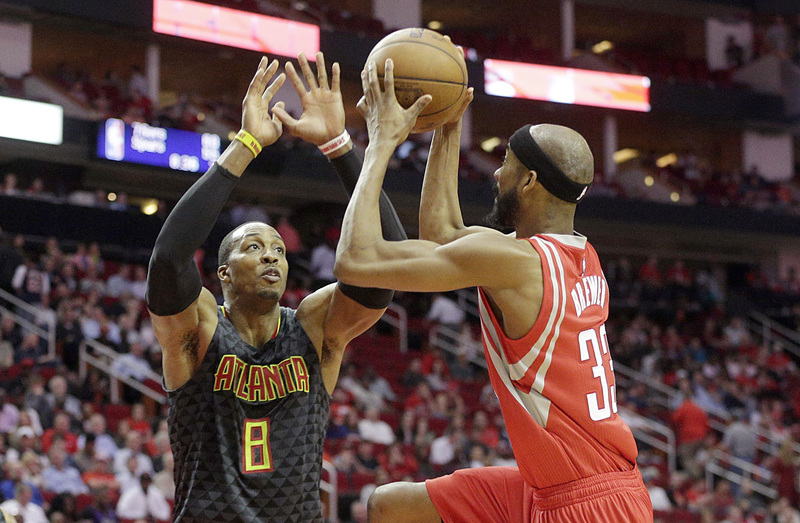 Houston took some questionable shots down the stretch that aided Atlanta’s comeback. 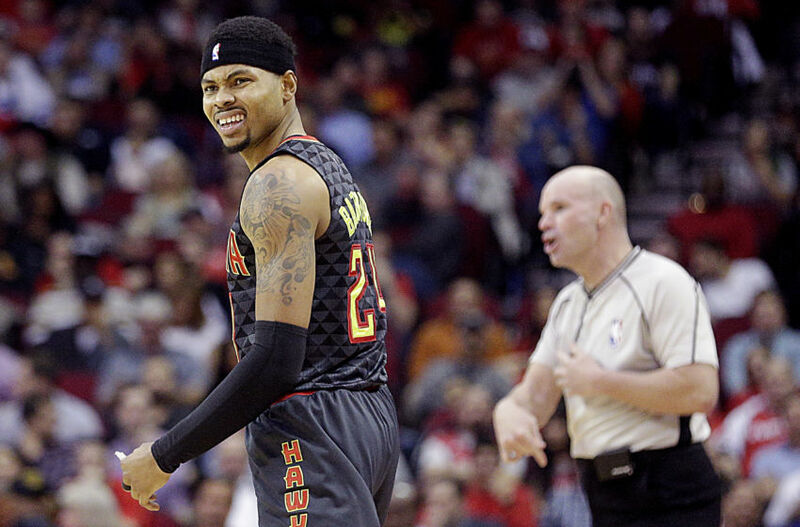 The Hawks locked down defensively, but they definitely got some help from the home team. After the game the stunned crowd in Houston tried to rationalize what had just happened. I’m still not sure I understand what happened. Well, I know one reason why it happened. That reason is Tim Hardaway Jr. Let’s dive into the comeback. Mike Budenholzer went with an interesting lineup to close things out against the Rockets. He “rode the hot hand”, as they say. He had a group of players on the court leading an impressive comeback and he didn’t want to mess with that chemistry. It turned out to be the right move. A lineup comprised of Malcolm Delaney, Tim Hardaway Jr., DeAndre’ Bembry, Kent Bazemore, and Dwight Howard led the comeback. Hardaway did most of the leading. He absolutely exploded in the fourth quarter. Hardaway finished with 33 points in the game, 23 of those points came in the fourth quarter on 8-for-11 shooting. He scored in a variety of ways. Hardaway knocked down open and contested threes, he got to the basket and finished through contact, and he also unleashed thunderous dunks on the Rockets. His 33 points were a career high. I assume construction is underway on a THJ statue outside of Phillips Arena. Hardaway’s performance stood out the most, and for good reason, but he offered praise to a teammate after the game. 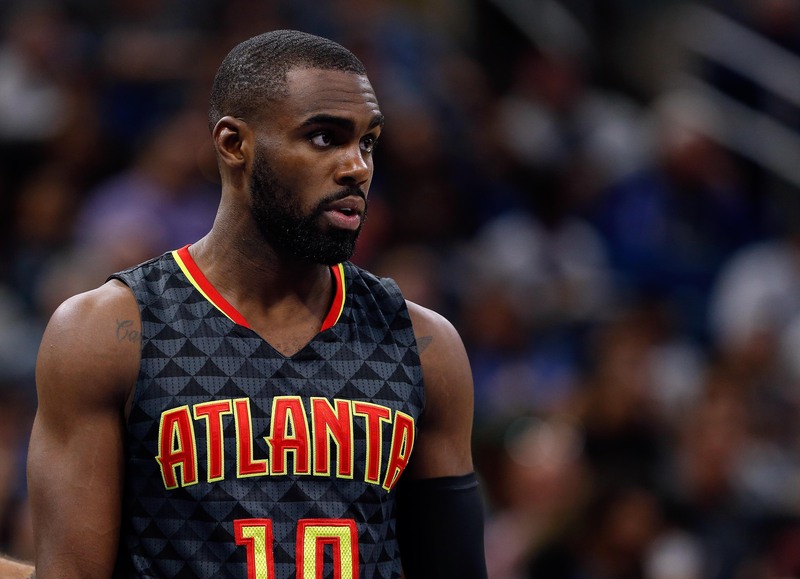 Hardaway spoke to the media about DeAndre’ Bembry’s defense on James Harden late in the game. Bembry was outstanding on Harden. Harden scored 41 points overall, but only six of those points came in the fourth quarter. The rookie did not back down from the challenge. There aren’t many defenders in the NBA than can thwart Harden the way he did on Thursday night. 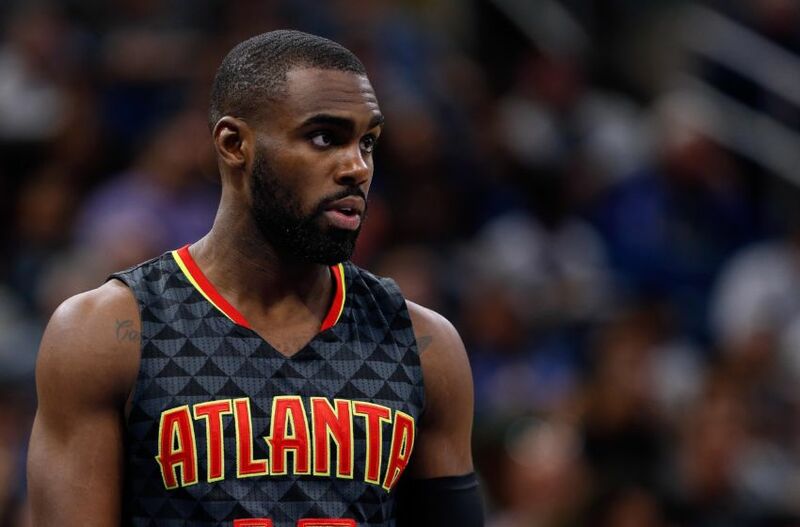 Hardaway’s development is one of the stories of the season for Atlanta. Early last season he couldn’t even crack the rotation. Now he’s an essential role player and a guy capable of taking over late in games. 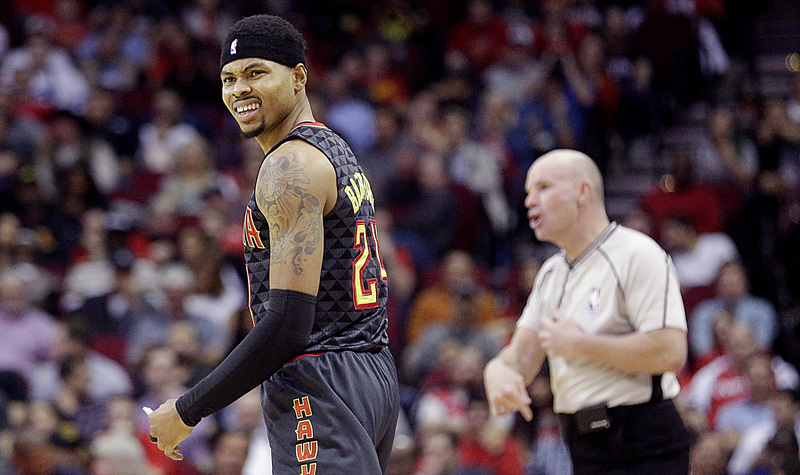 It’s starting to look more and more likely that the Hawks will retain his services next summer. 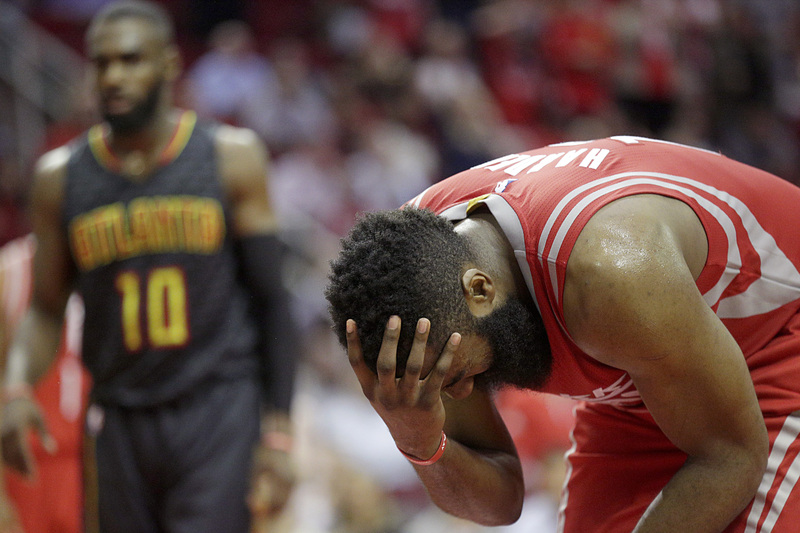 As you might remember, Dwight Howard’s tenure with the Houston Rockets was a bit rocky. There was plenty of locker room drama with James Harden and he wasn’t exactly a fan favorite. Howard left last summer to sign with the Hawks in a move that has worked out for both sides. The Rockets may have the better overall record at 36-17, but Howard is 2-0 against his former team this season. This win had to be even sweeter than the first, especially after the sparse Houston crowd greeted Howard with a chorus of boos during introductions. Howard played like a man seeking revenge on his former team. He finished the game with 25 points and 23 rebounds on 11-for-13 shooting. His efforts helped Atlanta dominate the rebounding battle, 56 to 38. Will this serve as closure for Howard? Who knows. But winning basketball games is fun, so I’m sure Howard enjoyed himself. He told the media he was just happy to get a win. The opponent didn’t matter. I’d be pretty stoked to beat a team where everyone hates me, but perhaps Dwight is a little more zen than me. James Harden showed why he’s the likely MVP this season. He finished the game with 41 points, eight rebounds, and eight assists on 10-for-23 shooting. However, he didn’t get much help. Only one of his teammates had a positive offensive performance. Clint Capela finished with 22 points and nine rebounds on 9-for-11 shooting. Other than that it was rough. Eric Gordon and Ryan Anderson combined to shoot 5-for-19 from three-point range. Trevor Ariza shot 1-for-12 from the field. Sam Dekker was 1-for-5 and Patrick Beverly shot 3-for-9. It was not a good look for Harden’s supporting cast. Looking at the box score, it seems crazy that the Rockets were ever up twenty points in this game. Of course, their offensive efficiency nose-dived during the last five minutes of the game. It was nothing sort of a total collapse. Also, I’m still not used to seeing Mike D’Antoni without a mustache. The “seven seconds or less” Phoenix Suns made me love basketball, so I’ll forgive him for eschewing his iconic look. Anyway, it feels like the Rockets are one player away from having a complete team. They’ve been fantastic this season, but does that supporting cast scare the Golden State Warriors or San Antonio Spurs? The Hawks went 1-1 on this tiny road trip. They won the game I expected them to lose and lost the game I expected them to win. Basketball is weird that way. Life on the road is over, for the time being. The Hawks return home on Saturday night to take on the Orlando Magic. The Magic aren’t very good, but they’ve already beaten Atlanta once this season. Anything can happen with this Hawks team. Sunday they’re off. Which leads me to an interesting question. Which Hawk is throwing the Super Bowl party? I’d guess it’s Dwight Howard, but I have no inside information. They can’t party too hard, a tough opponent awaits them on Monday. They’ll finish their home-stand against the Utah Jazz on Monday and the Denver Nuggets on Wednesday.